“We have to go back!” Believe it or not, the 10-year anniversary of ABC’s Lost is coming up in 2014 (September 22, 2014 to be exact). It’s hard to believe that Lost premiered 10 years ago, and has now has been off the air for more than three years. The adventures of Jack Shepherd, Kate Austen, James “Sawyer” Ford, and the rest captured the imaginations of countless viewers over the years, and now fans of the series are organizing a celebratory weekend for the seminal TV series. According to Whitney Matheson’s Pop Candy blog on USA Today, LOST 2014: The 10-Year Fan Gathering will take place Sept. 20-22 in Oahu, Hawaii. Of course, Hawaii is where Lost was filmed, so it seems more than fitting that the anniversary celebration would take place where it all started. The event is “not meant to be a cast reunion,” but a few cast members are expected to drop in to make a special appearance. My money is on Jorge Garcia showing up for the fans! 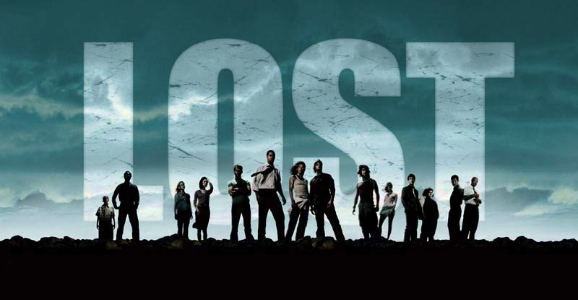 The main event of the weekend is a special two-hour screening of Lost‘s pilot episode, which is one of the best pilot episodes in TV history (also directed by J.J. Abrams, I might add). There was, of course, a ton of backlash against the series after its series finale in 2010. Showrunner Damon Lindelof still can’t escape from criticism of the show’s resolution to its mysteries. Ever since, anything Lindelof’s name is attached to is viewed with serious skepticism, albeit somewhat unfairly, all because of the series finale. Sure, Lost lost its way from time to time (Nikki & Paulo, Jack’s tattoo episode), but that shouldn’t take away from the good things and enjoyment Lost brought to the table. Lost popularized serialized storytelling on TV. It spawned a number of short-lived rip-off series including Surface, The Event, FlashFoward, and Invasion, along with countless others. For better or worse, modern genre television wouldn’t be the same without Lost. It also delivered world-class actors and very likable characters; imagine what pop culture would be like without Evangeline Lilly, who is featured in The Hobbit: The Desolation of Smaug, Terry O’Quinn, Matthew Fox, and Josh Holloway, who can be seen in the upcoming TV series Intelligence on CBS. One of the best reasons why Lost was so successful for so long was its rich characters. We tuned in just to see how these island castaways developed week after week. I have very warm memories of Lost as a post-grad. I actually didn’t catch up with Lost until season two, after its first season was on DVD. I remember getting the first disc in from Netflix (remember when you rented videos through the mail? ), but wasn’t sold on the show until the end of episode four, “Walkabout.” I thought the pilot episode was great, but the episodes that followed lost a lot of steam. After I finished the first disc, I walked to the mailbox to return it so I could get the next one in the set. After I dropped it off in the mail, I proceeded to walk to my local Borders (remember Borders?) to buy the first season on DVD. I didn’t want to wait for the second disc to come, so I just bought it. I was hooked! Ever since I caught up on season one, I never missed a single episode.